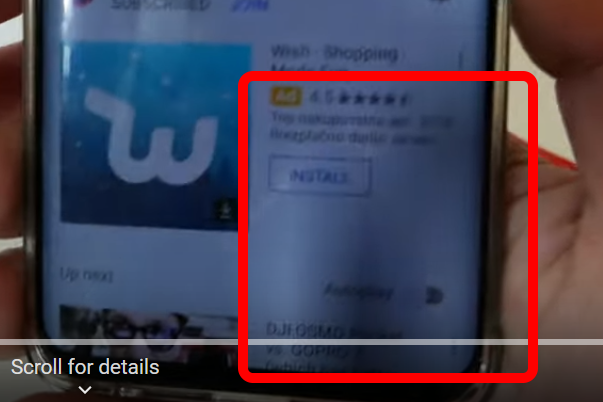 watching YouTube video in full screen and after a minute or two I exit the full screen and want to check notifications. When I slide down notification bar, the white part of YouTube with description of video is part black, part white. Same goes if I play for example fortnite. Loading screen show like it is burned. I have new device for less then week. Any idea, is this display again or something else? No, it's not normal for OLED displays, at least not by my experience in all years with OLED displays..
Hi @DenisJ I think I'd take one of the photos you took and the screen capture I posted up to your supplier and ask for an exchange. Hi I think this may be a feature rather than a screen issue. When you pull down the notifications, the current task (youtube) goes into the background and Android darkens the image, guiding you eyes to the app that's in the foreground (notifications). If you're concerned about your screen, there are plenty of screen test apps on the play store to check it out. Wouldn't be always same if that would be the feature? How about games as Fortnite then? Hmm..
Soz I've only had 1 coffee . I just watched the video again and think I can see a dark smudge on the bottom right of the screen - is that what you're talking about? It looks like an LCD fault to me. The best way forward would be to download a screen test app and try and reproduce it. Then you can discount complicated software issues. Ahh again I will be without phone for at least 2 weeks. I'll do it on Monday, most of suppliers don't work on weekends in Slovenia. Bummer. I hope they work quickly!